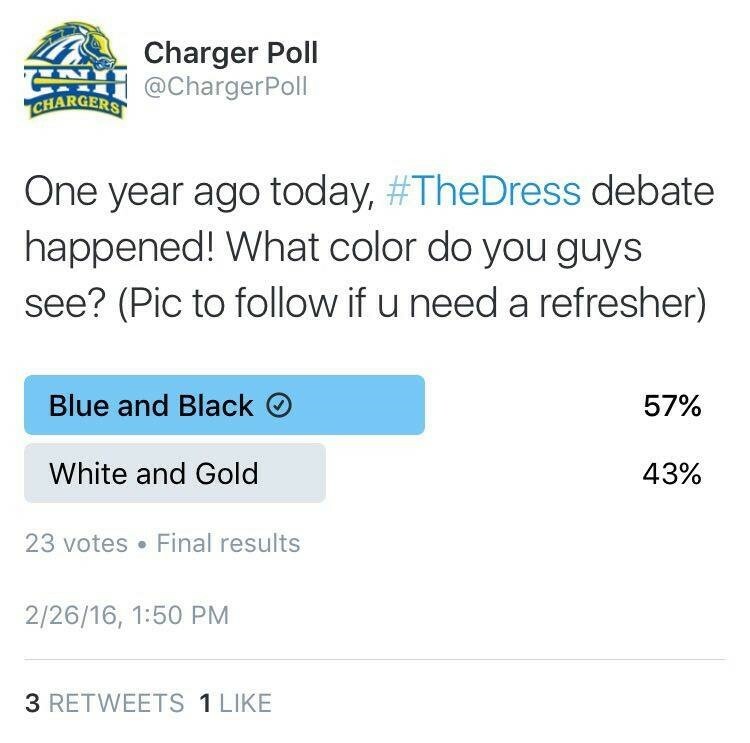 I’m sure everyone remembers the famous dress debate from exactly one year ago! 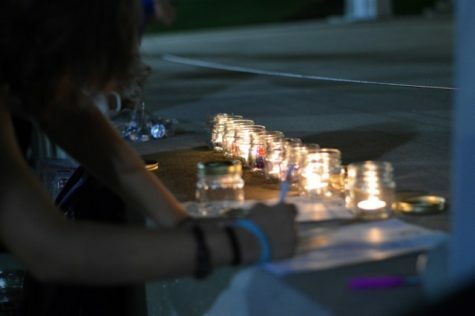 Was it blue and black, or was it white and gold? 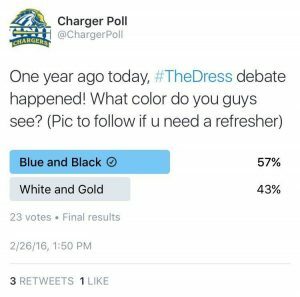 I took it to @ChargerPoll to find out what you guys think…Turns out, we still have no idea! Be sure to vote weekly @ChargerPoll on Twitter.